The key buffer is MyISAM specific, a structure for index blocks that contains a number of block buffers where the most-used index blocks are placed. It’s mean for minimizing disk I/O, because memory is still faster than hard drives [currently]. The MyISAM key buffer is described in more detail in the documentation. Size depends on amount of indexes, data size and workload. Set up to 30-40% of available memory if you use MyISAM tables exclusively. 2-4 MB minimum; dedicating GBs can be a waste. 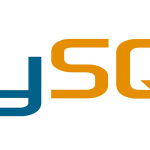 For more info, see this article on MySQL tuning. “Key Efficiency” is an indication of how much value you are getting from the index caches held within MySQL’s memory. If your key efficiency is high, then most often MySQL is performing key lookups from within memory space, which is much faster than having to retrieve the relevant index blocks from disk. The way to improve key efficiency is to dedicate more of your system memory to MySQL’s index caches. How you do this depends on the storage engine you use. For MyISAM, increase the value of key-buffer-size. For InnoDB, increase the value of innodb-buffer-pool-size. fastest – retrieving index data from within MySQL’s index cache. The cost is a few memory operations. retrieving index data that is held in the OS file system cache. The cost is a system call (for the read), and some memory operations. retrieving index data that is held in the disk system cache (controller and drives). The cost is a system call (for the read), communication with the disk device, and some memory operations. slowest – retrieving index data from the disk surface. The cost is a system call, communication with the device, physical movement of the disk (arm movement + rotation). In practice, the difference between 1 and 2 is almost unnoticeable unless your system is very busy. Also, it is unlikely (unless your system has less spare RAM than your disk controller) that scenario 3 will come into play. I have used servers with MyISAM tables with relatively small index caches (512MB), but massive system memory (64GB) and have found it difficult to demonstrate the value of increasing the size of the index cache. I guess it depends on what else is happening on your server. If all you are running is a MySQL data base, it is quite likely that the OS cache will be quite effective. However, if you run other jobs on the same server and these use lots of memory / disk accesses, then these might evict valuable cached index blocks leading to MySQL hitting disk more often. An interesting exercise (if you have time) is to tinker with your system to make it run slower. Running a standard workload on large tables, reduce the MySQL buffers until the impact becomes noticeable. Flush your file system cache by pumping huge amounts (greater than RAM) of irrelevant data through your file system ( cat large-file > /dev/null ). Watch iostat as your queries run. “Key Efficiency” is NOT a measure of how good your keys are. Well designed keys will have a much larger impact on performance than high “Key Efficiency”. MySQL does not have much to help you there, unfortunately.